“Prathet Thai ruam lueat nuea chat chuea Thai, Pen pracha rat, phathai khong Thai thuk suan…” It’s 6pm; hundreds of us have paused exercising and come to a stop, as the sound of Thailand’s national anthem fills the air at Benjakiti Park, in the heart of Bangkok’s Asoke district. My emotions are stirred, eyes become a bit wet, I’m happy to be living in Thailand again, and remember first hearing this song way back in 1999 when I originally moved here. While not a Thai citizen, and very happy to be Canadian, this has been my adopted home for a decade-and-a-half, is a place I love, and hearing the national anthem reminds me of the many things that make this country and my life in it great. I’m always happy to pause, listen to the song, sing along (in my head – I’m a terrible singer! ), and appreciate where I am in many respects. 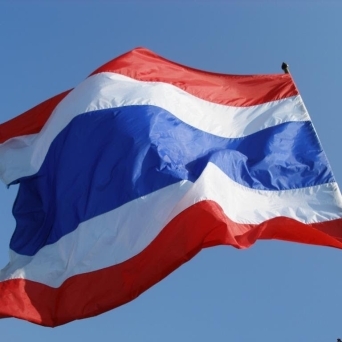 The concept of a national anthem in Thailand dates from the late 1800s with the composition of Sansoen Phra Barami (A Salute to the Monarch), which still serves as the royal anthem. You hear it before movies, prior to television broadcasts about the Royal Family, and at formal events. In 1932 when Thailand changed from an absolute to constitutional monarchy, the royal anthem was dropped as the national anthem, and a new one composed. It then went through a number of changes before becoming the song we know today, Pleng Chat Thai. 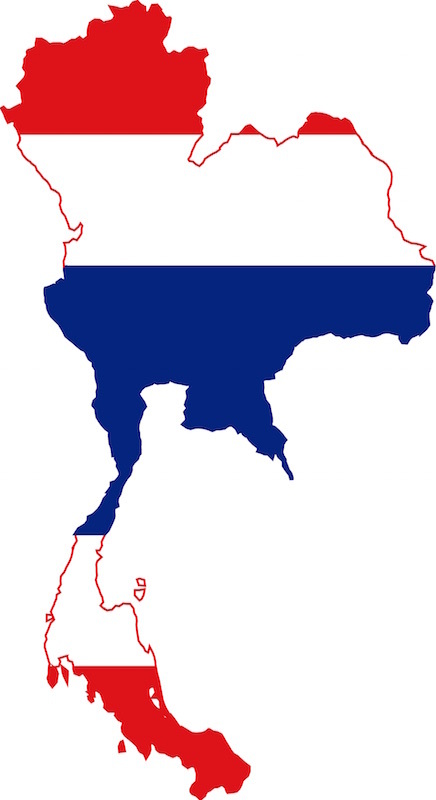 It was officially adopted on 10 December 1939, coinciding with the country’s change of name from Siam to Thailand. The melody was composed by a Russian, Phra Chenduriyang (Peter Feit), with lyrics crafted by Luang Saranupraphan. The Prime Minister at the time ordered the new anthem to be played daily at 8am and 6pm in all public places and government offices. Thais were instructed to stand when the anthem was played to show their respect for the nation, and the tradition remains today. While some visitors find the concept of a national anthem being played daily in public a bit Orwellian, I’ve always thought it to be a great tradition. It’s an opportunity to reflect on where we’re from, what makes our home great, consider our place in life, and be thankful for everything we have. Taking a moment to do so regularly is something more nations should ask their citizens and guests to do. As the final bars of Pleng Chat Thai conclude, everyone springs to life in unison; I resume jogging, and look forward to hearing the song again tomorrow, with new things to be thankful for in the Land of Smiles.